Well, it’s been an interesting week, and we’re sure there are going to be interesting weeks in the months to come as well, but as your local bookstore—your sanctuary, your library, and your escape hatch—we’ll be here. New books on the shelves. Older books on the shelves. Kids books on the shelves (and on the floor, sometimes). Funny books. Sad books. Insightful books. Infuriating books. A book for everyone, like we do. 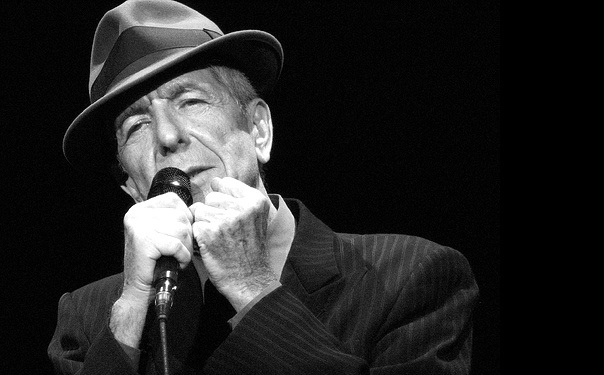 We lost Leonard Cohen this week. 2016 has been a rough year, no doubt about it. Cohen was one of those off-neglected singers whose work had wider reach than we probably realize, and he probably preferred it that way. He was never one for the limelight, and all that’s left now is his art, and so we'll offer a pale but compelling overview of his work with this live version of his song, "Hallelujah." It’s a haunting song that has been widely covered by other artists, and there are, apparently, over three hundred versions of Cohen’s “Hallelujah” out there. But let’s stick with his version, for the time being. Cohen was Canadian, and “Hallelujah” was first released in 1984. Another Canadian band, Rush, released a song called “Big Money” in 1985. Both songs still feel terribly relevant this week, you know? Not the hairstyles from the '80s, though. We don’t miss those. All of which is to say—without being too cheeky—that looking back and looking ahead is how we’re going to make sense of today and tomorrow and next week. Historians wrote not to prop up a dinner time argument that they were right, but rather to help us examine, with hindsight and some perspective, what worked and didn’t work in the past so that we can make informed choices about the near-term future. Science fiction authors didn’t write their little speculative paperbacks so they could whip them out and say, “See? I predicted this.” They wrote because they could imagine a scenario when things went a certain way, and they wanted us to have a roadmap should we want to go that way or steer really clear of that path. 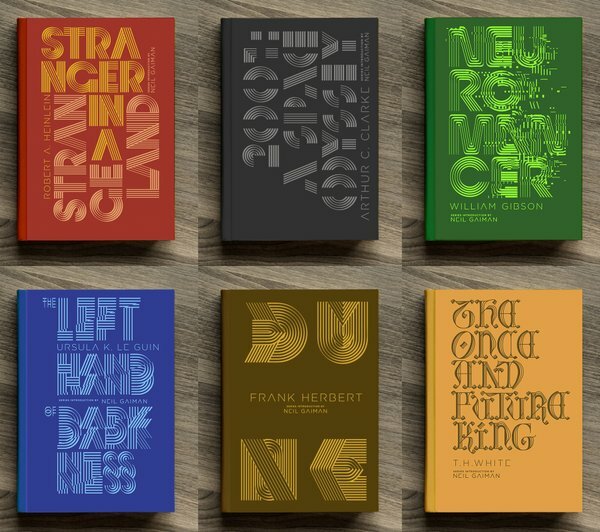 Penguin recently re-released a number of SF classics in new typographically heavy designs. Most of these were written during the last fifty years or so (and, in fact, Dune won the Hugo Award and the first Nebula award in 1966, exactly fifty years ago), and they all imagined worlds to come (except for T. H. White’s The Once and Future King, but we’ll ignore that one because it’s not SF). Frank Herbert wrote about warring houses who were fighting for control of a desert planet. Arthur C. Clarke wrote about finding ourselves as we struggled to understand an ancient monolith we found in space. William Gibson wrote about a world that had been rewired through and through by technology. Ursula K. Le Guin wrote a book that tackled the confusing world of shifting gender and sexuality on a planet that has no fixed gender identity. Robert Heinlein wrote a book about a human who was raised on Mars and who comes back to Earth and attempts to understand the rest of humanity. It introduced the word “grok” to us, and was recently named by the Library of Congress as one of eighty-eight books that has shaped American culture. These are probably apocryphal, but there’s are two interesting quotes from William Gibson. The first was that he fled a viewing of Blade Runner when it first came out because it was close to the strange reality he had in his head (Blade Runner came out in 1982, Gibson's Neuromancer came out in 1984); the second is that he realized what he was imagining was so strange and so out there that he had to write it as a reverse history, meaning he had to figure out how to articulate the world in his head in language that people in his lifetime would understand. And now? Thirty years later, we’re not quite living in a Syd Mead world (Syd did a lot of the visual design of Blade Runner), but we’re certainly within spitting distance of it. Likewise, the same is probably true for Neuromancer. And we should all go catch up on John Brunner. He was an outlier back in his day, but we suspect his work is going to seem not quite as quaint and goofy as we thought it might be. Okay, let’s move on to new books. 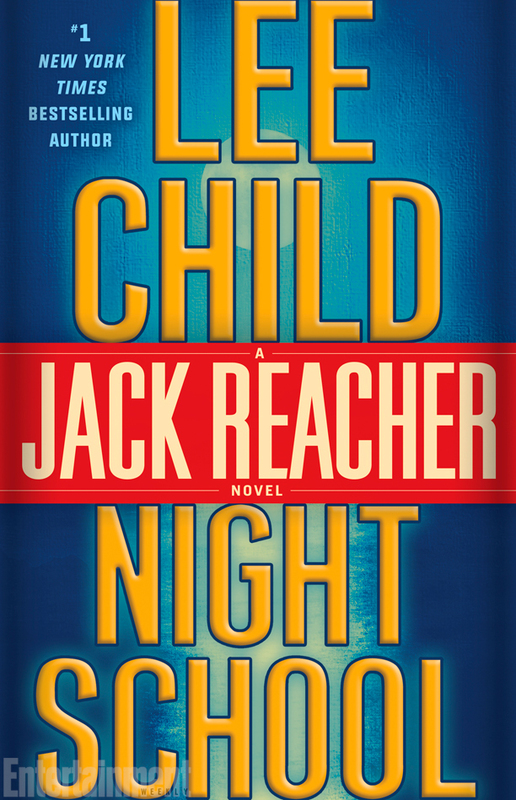 This week sees the return of Jack Reacher in Night School, Lee Child’s twenty-first novel. In this one, Lee takes us back to 1996, when Reacher was still in the Army. He’s tasked with tracking down a mysterious threat that starts with a cryptic message: “The American wants a hundred million dollars.” Well, who doesn’t, right? Though, in this case, this American and that hundred million getting together is going to precipitate an epic act of destruction. And yes, since this book takes place in Reacher’s past, we can assume that he’s successful in saving the world, but Child might be using a historical time and place to make a forward-looking comment on the shape of things to come. And speaking of paying attention, the Pacific Northwest Booksellers Association just released the short list of contenders the organization members have selected for their 2017 Book Awards. It’s a great list of books that you should all check out. 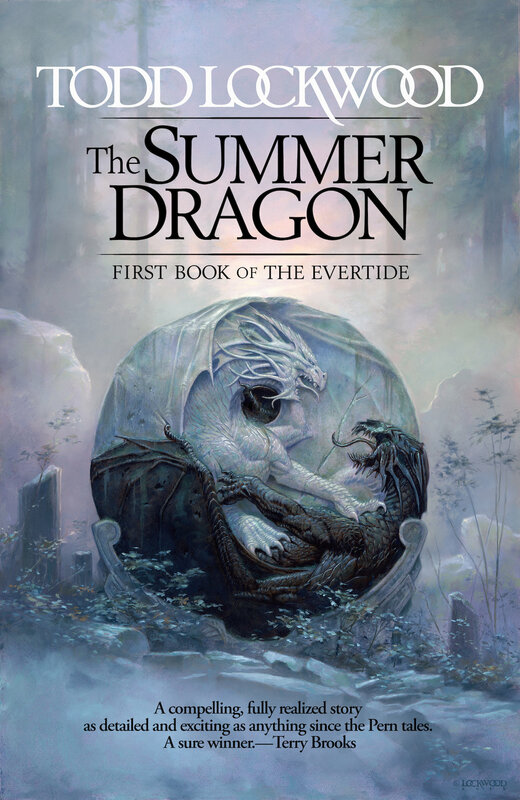 Todd Lockwood, who lives just up the hill in Bonney Lake, made the list with The Summer Dragon, a fantasy novel that he also illustrated. [Todd is kind of a big deal in the fantasy illustration world.] We’ll be sure to drag Todd down the hill to autograph some of our copies. 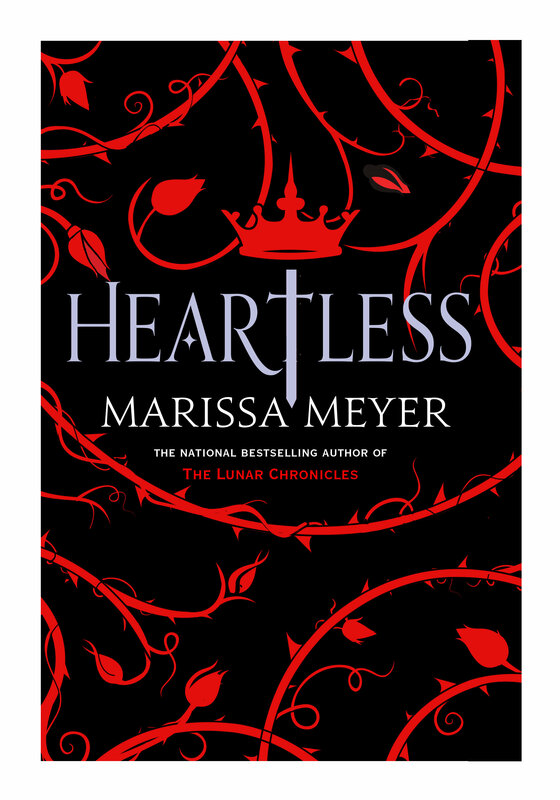 And speaking of autographs, we have copies of Marissa Meyer’s new stand-alone novel, Heartless, in stock, and yes, the delightful Ms. Meyer has autographed them for us already. She’s so marvelous that way. Heartless is the story of a young woman named Catherine who wants nothing more than to be a bakery owner and make delicious pastries. Ah, but this is Wonderland, and Wonderland has different plans for Catherine . . .
And speaking of Meyers, Stephanie Meyer (no relation) also has a new stand-alone novel out. 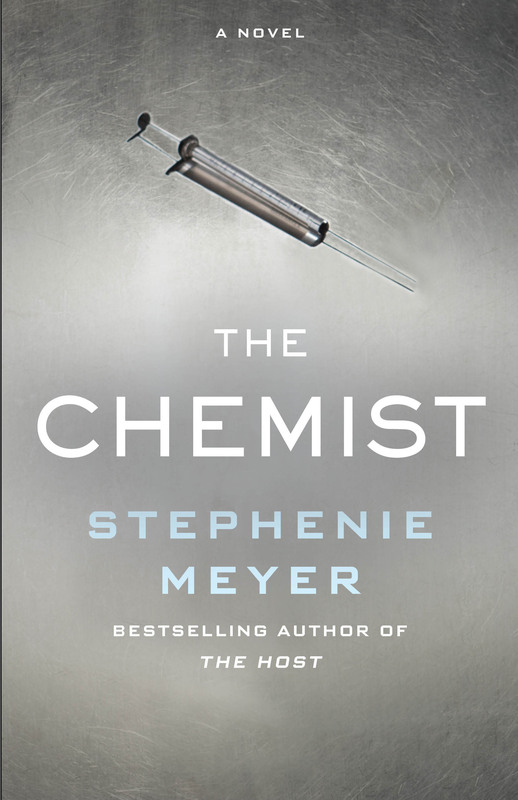 The Chemist, like The Host, isn’t about vampires or teen love in the misty woods, this one is about smart people who have been cut off from the rest of the world (for reasons that have everything to do with unsavory knowledge and shadowy government organizations) and who must learn to trust and love again if they hope to survive the ordeal ahead of them. And there’s chemistry in this one, we think. No, not that chemistry, the other chemistry. Like science and stuff. But we hope there’s a lot of the other chemistry too, right? 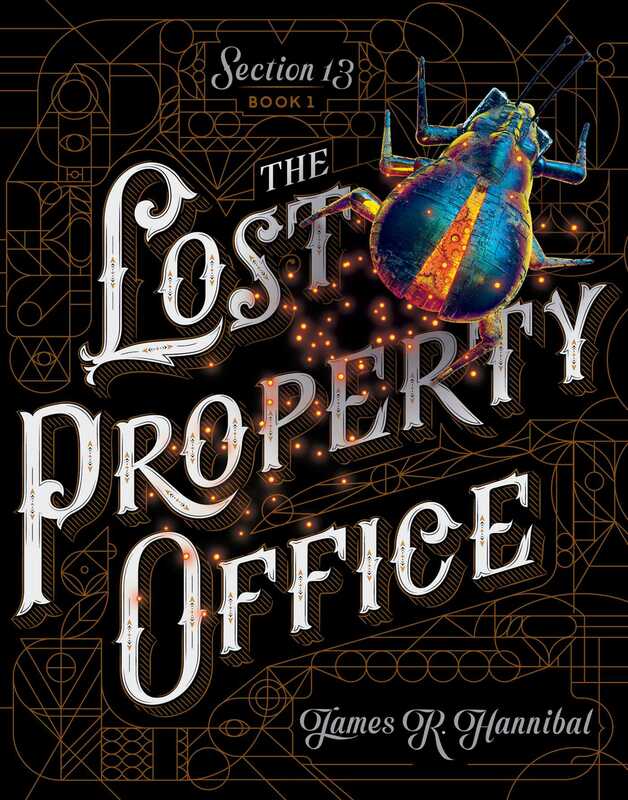 And speaking of finding lost things and shadowy government organizations, James R. Hannibal debuts this week with The Lost Property Office, a middle grade novel about a young boy who must find his father in a world filled with secrets, codes, a touch of magic, and some really cool illustrations. Jack needs to find the Ember, a mysterious artifact that holds a secret that has been kept hidden since the Great Fire of London. And speaking of pesky, we’ve got a new bookmark this week. We know you’ve all been distraught about the lack of a charming slip of paper that makes you smile when you find it again, tucked between the pages of a book. It’s okay; we’re here for you. And it has a funny story that Colby wrote, so you should come down and pick up a book or two. Look up and around this week, lovelies. Make eye contact, smile, and listen. It’s important to connect with the world around you. COLBY: I’ve heard this phrase “uncharted waters” this week, and I’m not sure what it means. You used to be a pirate. Do you know? ANNE: Well, every ship captain has a map that tells them the shape of known world, and they use that map to figure out how to get their boat from here to there. Waters that are uncharted means that there is no map of where they’re about to go. COLBY: Oh, the “Here be Monsters” part of a map. ANNE: Not always. Sometimes—most times—it’s just a part of the map that we’ve never been to before. It’s easy to say that there are monsters there because that just means we’re frightened and we don’t want to go, but sometimes we have to. COLBY: So, how do you navigate these waters? ANNE: You make sure your ship is good and secure, and that you have enough supplies for however long you think the journey is going to last. You tell your crew that they are family and that you will protect them. That you will listen to them, and treat them with the respect their stations are due. And you go slowly, paying attention to all the signs that you do know: water soundings, the presence of birds and sea life, rocks, shoals, winds, currents, pirates, jellyfish, tentacled monsters . . .
ANNE: I’m kidding about the monsters. Well, mostly. COLBY: Ah, okay. But which direction do you go? ANNE: You follow your compass. The one in your heart that always points true. ANNE: It’s the unknown, dear. It’s the best you can do. It doesn’t go on forever, and it may seem like it will. But it ends. You get there, eventually. It will be a hard journey. And quite likely, there will be some sadness along the way. A great deal, perhaps. But you will get there, as long as you hold true to your compass. COLBY: Hmm. I’m not sure I like that narrative. ANNE: Then write your own, silly marmot. That’s the other thing about uncharted waters. No one knows how to get to the other side, and many of us would like to go together—there are strength in numbers, after all—but we need someone to write the narrative of our journey. It can be you. It can be me. It can be the kid who swabs the decks after a battle with pirates. We all have the power to write the narrative. But we have to write it, otherwise our ships will founder. COLBY: Okay. I think I get it. I think I can do that. ANNE: Of course you can, marmot. I believe in you.